Born in Buckinghamshire,1959 to professional painters Jeremy and Brenda King, visual art has always been a background to Jo's life. Although he had no formal training from his parents, he was influenced by watching them at work, and chose to specialise in art at school. After graduating in 1981 from Dartington College of Arts with a BA degree in theatre, Jo King moved to Holland and worked as a cabaret entertainer. His training and experience as a professional performer and musician led to a fascination with the human body in figurative art. In 1989 he returned to Britain and commenced what was to become an 8 year period of working for the highly acclaimed mask and puppet company Horse + Bamboo, directed by painter Bob Frith. In 1998 the groundbreaking film Titanic was released. The pivotal scene in which Rose (Kate Winslet) posed for a naked portrait, was a huge inspiration to him. He immediately started attending life drawing sessions run by Bohuslav Barlow in Todmorden, Lancashire. Since then the human form has always been the dominant subject of Jo King's paintings, in contrast to the landscapes, still life and abstracts of his parents work. Increasingly, he took his observational skills more seriously and devoted more time to painting and developing his technique. On moving to Spain in 2002 he was captivated by the way strong sunlight and deep shadows define three dimensional forms. This sense of intense directional light has remained evident in his art work since then and relates to the dramatic lighting effects of his theatrical background and early love of Salvador Dali's work. King's favoured technique is oil on prepared board. He uses the texture of the preparation to enhance skin tones and fabrics. He continues to draw from life but many of his oil compositions begin as a collection of photos and sketches which are cut out, enlarged or reduced, often tinted and desaturated and eventually manipulated using the principles of perspective into a mock up of the final composition. From this collage the composition is scaled up onto board and the process of painting begins. Variations of this technique were used by many commercial artists and draftsmen to illustrate magazines and stories between 1900 and 1980. Unconcerned with fickle fads and fashions of the art world, Jo King's influences include both artists and illustrators from Andrew Wyeth, Alphonse Mucha, Egon Schiele, Guy Peellaert, Frank Frazetta, Gill Elvgren and Norman Rockwell to the Dutch Golden Age, Neo Classical works, early photography, and an enduring passion for Film Noir. Between 2010 - 2018 Jo King's studio was based in the Dutch town of Zaltbommel. 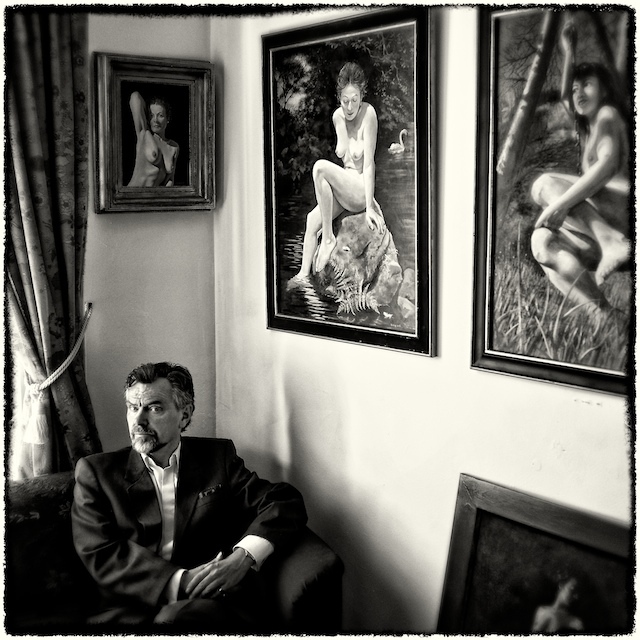 In September 2018 he joined the large British art community in Cornwall. His studio is now in the Cornish village of Constantine. "I strive to create art that grabs the attention of the viewer and subsequently their own imagination in creating the story behind what they see. If an artwork needs an explanation to make it valid as art, then that does not excite me. Explanations should only exist to enhance and deepen the understanding of the viewer's first impression." 2011 - "Het Beeld Geeft De Aanwijzing" by Jan Groenendijk, featuring work by Jo King and the other members of the Bommelse Kunstroute. 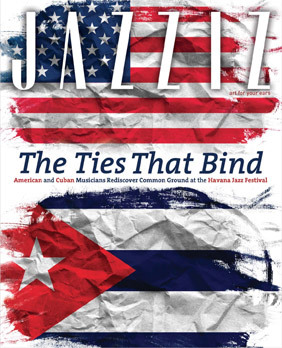 2015 - JAZZIZ , the USA's award winning jazz magazine, featured Jo's artwork on the front cover of its Summer issue. 2017 - JAZZIZ, "Seriously, Jo King. The retro charm of Jo Kings jazz paintings" by David Pulizzi. 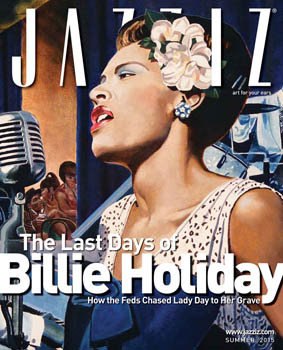 This article featured nine of Jo's jazz themed paintings for their Spring edition.